On January 31, 2014, Eddie was working as a carpenter when he fell off a ladder. 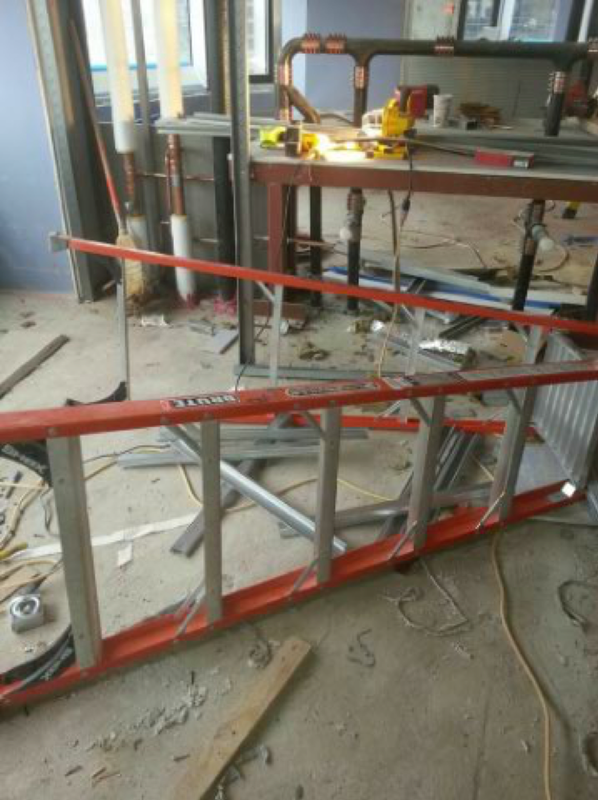 The ladder tipped over and Eddie fell about 8 feet, landing onto his right hand. He went to the emergency room for evaluation and was diagnosed with a non-displaced fracture of the distal radius (broken right wrist). Eddie was discharged home with a prescription for pain medication and a cast for his wrist. Following his release from the emergency room, Eddie participated in physical therapy, massage therapy, and heat and ice treatments. He continued feeling severe pain in his right wrist despite conservative treatment. He described the pain as “sharp, achy, and knife-like.” As a result of the work-related construction accident, Eddie underwent surgery to his dominant right wrist even though the doctor explained that there was a high likelihood that his wrist may not get better. Eddie hired Adam Handler when he was working at another law firm and (thankfully) stuck by Adam when The Case Handler team moved to Pollack, Pollack, Isaac & DeCicco, LLP. Good move Eddie! At the end of his case, Eddie had an outstanding $73,000 workers’ compensation lien that he would be responsible to pay back. 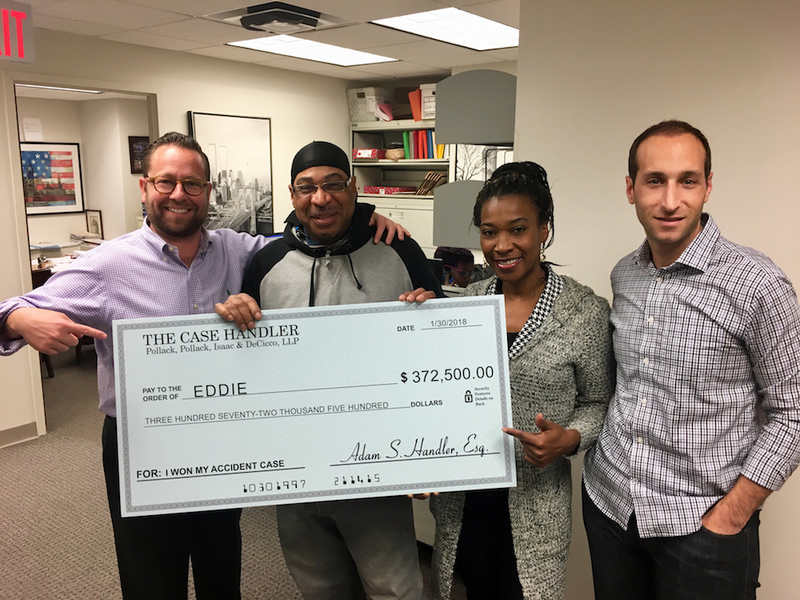 However, our skilled New York construction accident legal team got the entire amount waived (more money in Eddie’s pocket) and successfully recovered $372,500.00 for Eddie! We all know that some jobs are more risky than other types of jobs. Construction work is definitely one of them. According to the Bureau of Labor Statistics, construction and extraction occupations had the highest number of workplace fatalities in New York City (2015). If a life-changing workplace accident ever happens to you like Eddie, we are here to get you through it. Contact Adam Handler – The Case Handler for a“champion” that will fight for your New York construction accident claim.